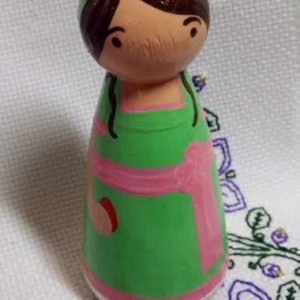 Elizabeth comes off the pages of the book as a hand-painted peg doll, with a purple dress and pink crutches. 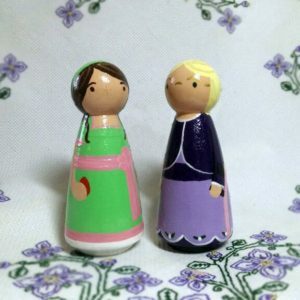 Each Elizabeth peg doll is 3.5″ tall, solid birch, painted and sealed in non toxic acrylics. 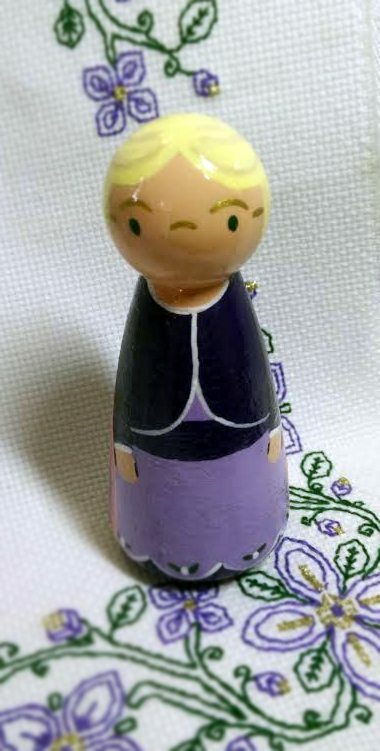 Created exclusively for Catherine’s Pascha by Edmund and Ambrose.